Looks Good from the Back: Review: Sunday Riley Good Genes. Juno Oil. Ceramic Slip. 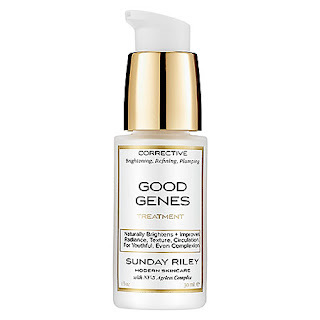 Review: Sunday Riley Good Genes. Juno Oil. Ceramic Slip. I cannot tell you guys how much I wanted to not like Sunday Riley products. I wanted to hate them and chalk the popularity up to good marketing and fancy packaging. So dumb! But, um, yeah. 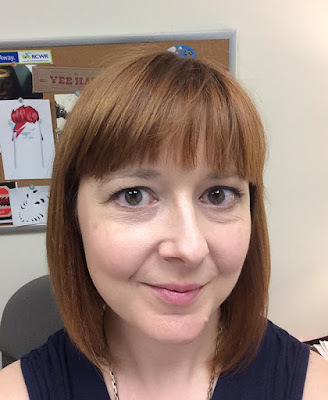 I have been using my generous samples of Good Genes Treatment, Juno Oil and Ceramic Slip cleanser for a few weeks and holy crap. I love this stuff. The main thing I wanted to review is the Good Genes treatment because I'm pretty sure this is what is making my skin all clear and glowy. For the past few months my face had been going through some kind of mid-life crisis. I was breaking out in a way I hadn't experienced in years. Chalk it up to stress, hormones, product sensitivity, weather, whatever, my face wasn't happy and it hated everything I tried. So, I took a step back and cut my skin care down to the basics. Then I started in with the Good Genes every other night. No filter and under fluorescent lighting. Not bad! 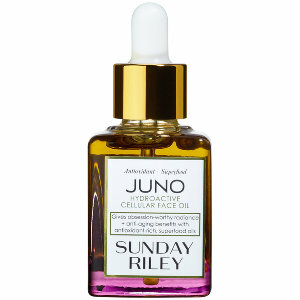 I started using the Juno Hydroactive Cellular Face Oil on the alternate nights and my face just drinks it up. In the morning my skin is plump and happy and looks better. Just...better. Juno is interesting in that it's all "superfood" seed oils (it smells like oregano salad dressing but the scent doesn't linger) so it's full of antioxidants. Even Paula Begoun grudgingly admitted it's good stuff. So far I love it. Ugh. 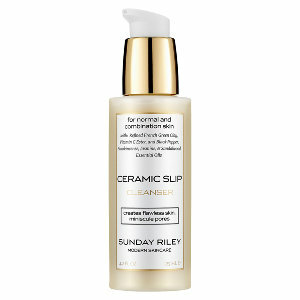 The Ceramic Slip cleanser is a good product but I don't love it. I use it after my Clinique cleansing balm on evenings when my face feels especially grody (like after the gym) and it does a good job of really cleaning without stripping my skin. It's a good cleanser but considering all the fancy ingredients wash right down the drain I'm not sure that it really has time to do much. It's a solid cleanser but I'm much more impressed with the treatment products. 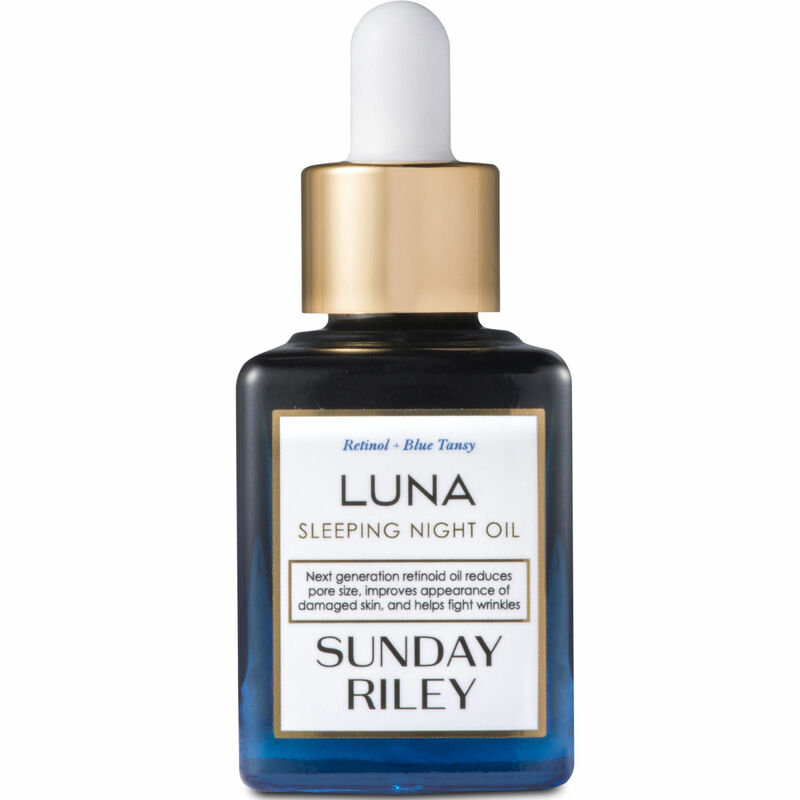 I also have a sample of the very popular Luna Sleeping Night Oil but I don't want to introduce too many new products at once so I'll wait a bit on that one. Something to know: It's Smurf blue. 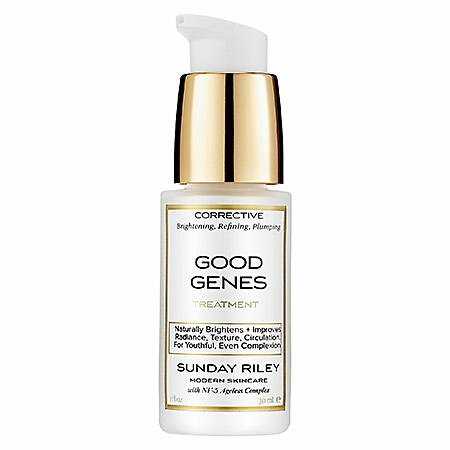 Have you tried Sunday Riley products? What did you think? PS. This review is, as always, my own opinion and based on products I procured with my own two hands. The company did not contact me or send me anything though if they'd like to I would certainly accept. Just saying. I swear I was just wondering when you would post a review. I turn 38 on Friday and am going shopping Thursday. I'm having a lot of skin issues lately related to wacky hormones. I think this might need to be my birthday gift to myself. Do you use the Good Genes with anything else at night or by itself? I wanted to give it a couple of weeks before I came to any conclusion! I use the Good Genes as a serum and put my nighttime moisturizer over it. You look so pretty! I've been using good genes for a few weeks now. Really like it as a nighttime moisturizer but wonder how the oils compare to skin and bones? All bought on your recommendation, btw. I wouldn't consider Good Genes a moisturizer, it's a treatment to be layered under moisturizer. Skin & Bones IS, however, a moisturizer and that's how I use it, often over the Good Genes mixed with a little of my CeraVe PM moisturizer. The Juno oil is all seed oils with antioxidant and anti-aging benefits while the Skin & Bones oil is mainly jojoba oil, which is a great moisturizer.